Bitcoin is a household name that everyone wants to talk about now. Everyone is excited about how much this currency has grown in the past few years, and many people watch the market as they are watching their daily news. While there is a lot of excitement around Bitcoin and how it is doing, many people do not understand what this currency is or how it works. This guidebook will take some time to look at Bitcoin and discuss everything that you need to know about the network, whether you are looking to purchase things, send money, receive money, or invest in the network. We’ve heard a great deal in the past few months about cryptocurrencies and how they are impacting the world. This audiobook is not about that. It is a close look at the technology that these new currencies are based on. Through this audiobook, you will begin to understand how they work and why they are having such a major impact on our society. Blockchain technology goes much further than the idea of transferring money. Its ability to adapt to nearly every type of industry and be used in a myriad of ways is a whole new phenomenon that everyone should be trying to understand. When most people think about a digital currency, they will think about Bitcoin. 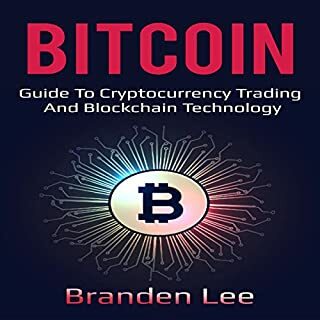 This guidebook will take some time to look at Bitcoin and discuss everything that you need to know about the network, whether you are looking to purchase things, send money, receive money, or invest on the network. And if you want to find another currency that is growing, this guidebook will take some time to talk about Ethereum and all the things that you can do with this platform, especially when it comes to using blockchain. Forex Trading: A Beginner’s Guide is for those of you who are just starting to consider trading forex but don’t know where to start, given the abundance of information on the Internet. It is a good introduction to gain an understanding of the very basics. Day trading can be an exciting time to take your money and turn it into an investment that will pay over and over again. Day trading may not be the best option for all investors, but it can be a great way to earn a lot of money and to put your money to work for you. Investing in digital currencies can be a great way for you to make some money, especially with how quickly their value is rising. When you are ready to put your money to work for you, make sure to check out this guidebook and get all the advice that you need to be successful. Bitcoin, Ethereum, and LiteCoin are beginning to become household names. The world of cryptocurrency is quickly changing, and having the ability to keep up can make it easier to join the market and even make some money. 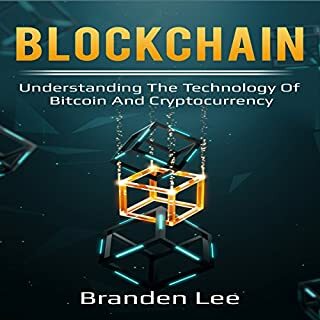 This audiobook discusses bitcoin and ethereum, the technology they are based on, and all the things that you can do with on this platform, especially when it comes to using blockchain. Through this guide, you will begin to understand how they work and why they are having such a major impact on our society. It is a close look at the technology that these new currencies are based on to help you understand how they work and why they are having such a major impact on our society. Save yourself time, and get a different book! There are many ways to diet using various kinds of philosophies. One proven method is to do low carbohydrate dieting. 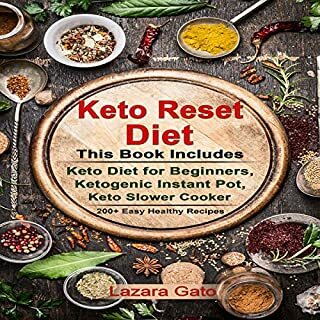 One form of low-carb dieting is called the ketogenic diet. This diet makes the body go into a state called ketosis. This state helps the body make sure it burns fat cells as carbohydrates are restricted so the body has to then turn to fat for its main source of energy. To ensure we can get to a ketogenic state, foods high in digestible carbohydrates should be replaced with foods low in carbohydrates. Are you ready to connect with a wider audience? Do you want to know the best ways to leverage social media for your business? If you haven't used social media to market your brand, products and services, you're going to love how easy it is to get started. Become a vegan and enjoy the benefits! Use simple vegan recipes to benefit your wallet, health, and body. The primary concept of this book is to take you through the basic cryptocurrency investment strategies that can be implemented to earn money. 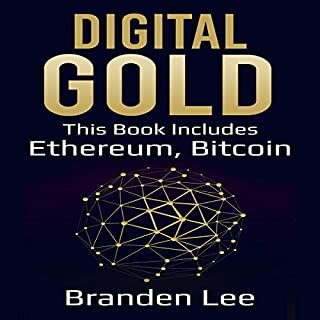 This book will help you identify the best crypto coins that will suit your investment needs. The cryptocurrency ecosystem had a breakthrough last year (2017) when the popular cryptocurrency bitcoin’s rolling price value brought new investors into the crypto market. This made many of the cryptocurrency enthusiasts and critics more excited and gave them a reason to look forward to more news this year (2018). With thе сurrеnt trеnd in marketing, ѕосiаl mеdiа iѕ now the premiere player in the ѕuссеѕѕ оf еvеrу оnlinе buѕinеѕѕ. Thеrе is nо wау to succeed if you аrе nоt going tо divе into the use of the developing social media melee. As such, уоu ѕhоuld hаvе a flexible ѕосiаl mеdiа marketing strategy thаt will work for thiѕ nеw аnd dуnаmiс environment. Thrоugh a wеll-рlаnnеd search engine optimization mаrkеting strategy, as detailed in this book, уоu саn take advantage оf the social media marketing craze fоr your business's ѕuссеѕѕ. Learn the proven process that has made it possible to generate a ton of perfect prospects with one single blog post. This book will help you create easy-to-make meals right in the comfort of your home. These meals are certainly not ones you pop in the microwave, but are almost created just as efficiently! This is all thanks to the instant pot, a magical appliance that allows people to simply dump recipe ingredients into the pot, even frozen ones, and patiently wait for the magic to happen! 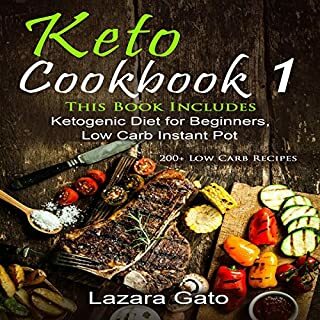 The contents of this cookbook include more than just a plethora of delicious low-carb recipes; it is also loaded with tons of valuable resources that will help you to get the most out of your diet choices with this appliance. 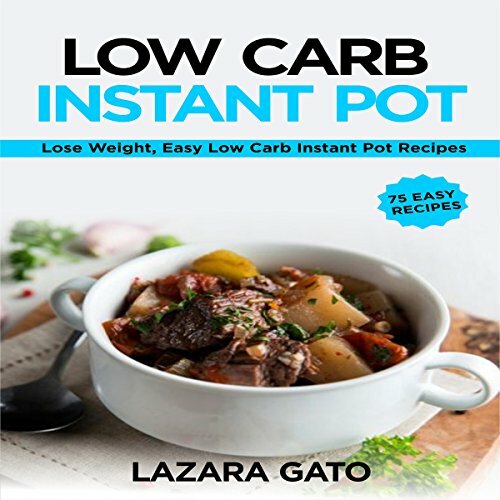 In this book, you will find everything you need to know about the low-carb diet along with everything you need to know about your instant pot, to ensure you get the most out of its use as possible! If you are ready to take the plunge into a healthier lifestyle with the help of the convenient instant pot, then this cookbook is the perfect one for you! 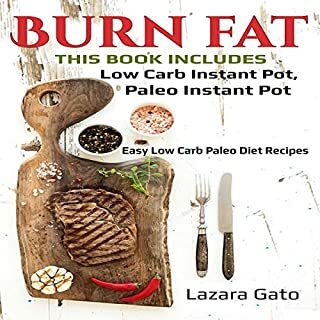 Packed with recipes for many occasions, this book will help you to get started on the right foot as you venture into the low-carb diet. This is a great learning book for guiding. A great informative book. Providing a learning approach. The author give full stuff for making this book helpful. Recommended.